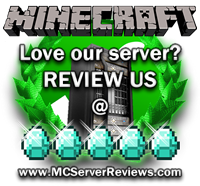 Menoeitus, is a build up of experienced people who have a long term Experience in Managing, Configuring, and running Minecraft servers. 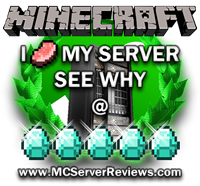 We originally started out in January as a server nameed “PhoenixCraft” But the name and the server did not live up to standards as a Roleplay server is not the best server. So we changed the name to Menoeitus and here we are, coming back again as a reformed group of people hoping to keep you all entertained and happy! Here at Menoeitus, we have a variety of Ranks. The key to getting promoted is standing out amongst the other players as a responsible mature person. Another key is what we always portray, DONT ASK. ———————————————— We dont take on these ranks above anymore. - Don’t use Hacks, you will be banned if we see NoCheat messages. There are 0 Positive and 0 Negative reviews of “Menoeitus” sorted by most recent. By clicking submit, you agreed to the rules and are using or have played on Menoeitus.